In honour and anticipation of the warming temperatures I would like to share with you one of my favorite summer places in Montreal. At 3000 Queen Mary road is St-Josph’s Oratory. The building is a huge edifice resting on the hills of Mont-Royal easily accessible on foot from metro Côte-des-Neiges. 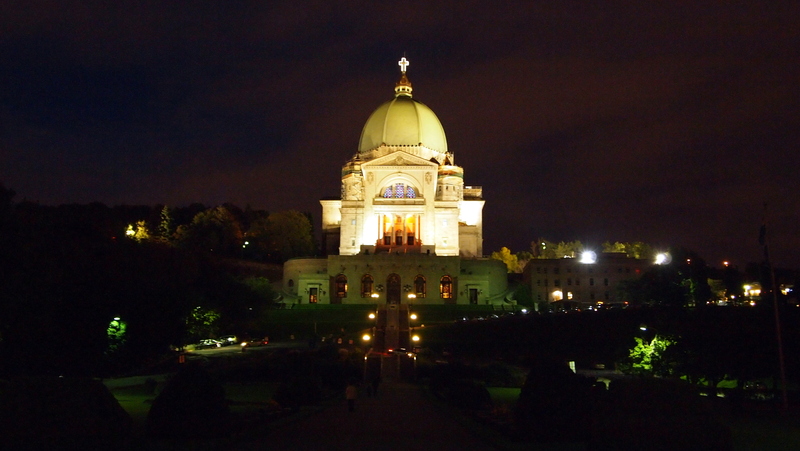 The history of the oratory includes pope John Paul II and the construction began as a dream of Montréal’s own saint, Brother André. Although I am not a religious person, it’s fascinating to enter the crypt of brother André; the alcove leading to its entrance flanked by hundreds of canes and crutches from those supposedly healed by the touch of the saintly man. As interesting as the inside is with its cavernous cathedral under the domed roof, the real draw for me is the top balcony. Accessible from a flight of stairs curling around the side of the building, the balcony gives a great view of the city below. The best part of all is that it’s open late and never crowded. The top steps make a great place to sit on hot summer evenings. So there you have it! 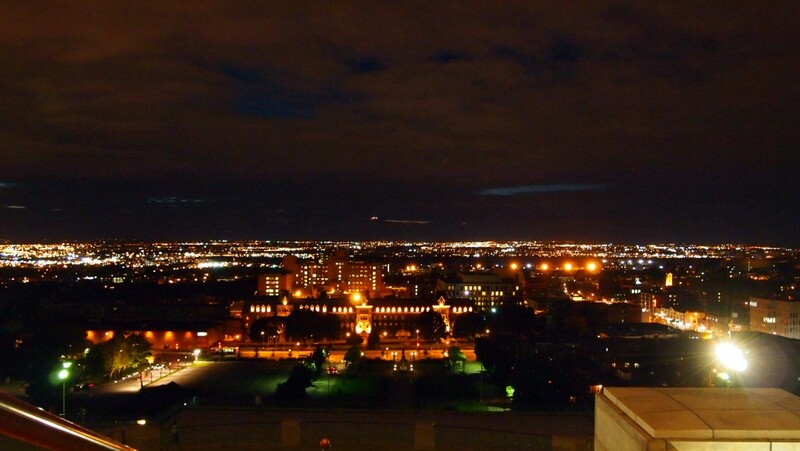 This summer go and have dinner at one of the restaurants on the nearby Chemin de la Côte-des-Neiges and then take in the night view from St. Joseph. You won’t regret it! Published by erik on 2012/05/05 at 5:37 PM under General Discussions.